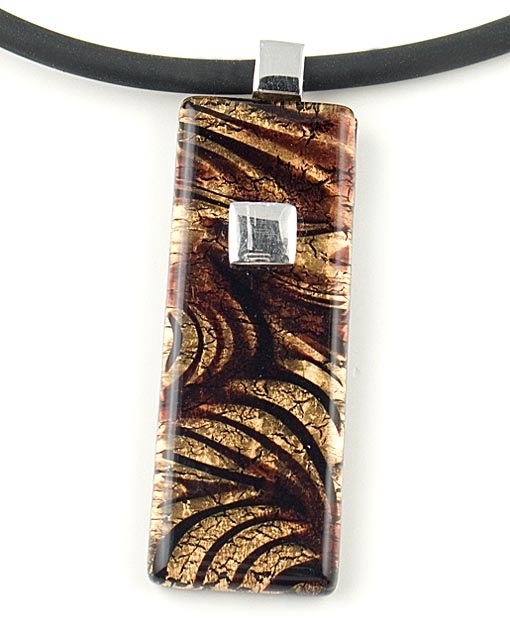 Brown and gold murano glass pendant necklace by Farfallina. This chic pendant has a captivating brown colour with a gold leaf background and sterling silver details. It measures 5.8cm in length and 2cm in width. This Venetian drop pendant is hand-made in blowed Murano Glass engaging for you the privilege of wearing a true Italian master piece. 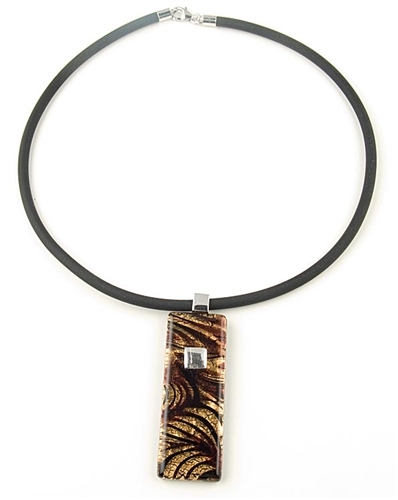 Hangs by a natural rubber (caoutchouc) cord with a sterling silver lobster clasp. *Please note: Due to handcrafted nature, color and design may slightly vary. Length: 42 cm / 16.5"